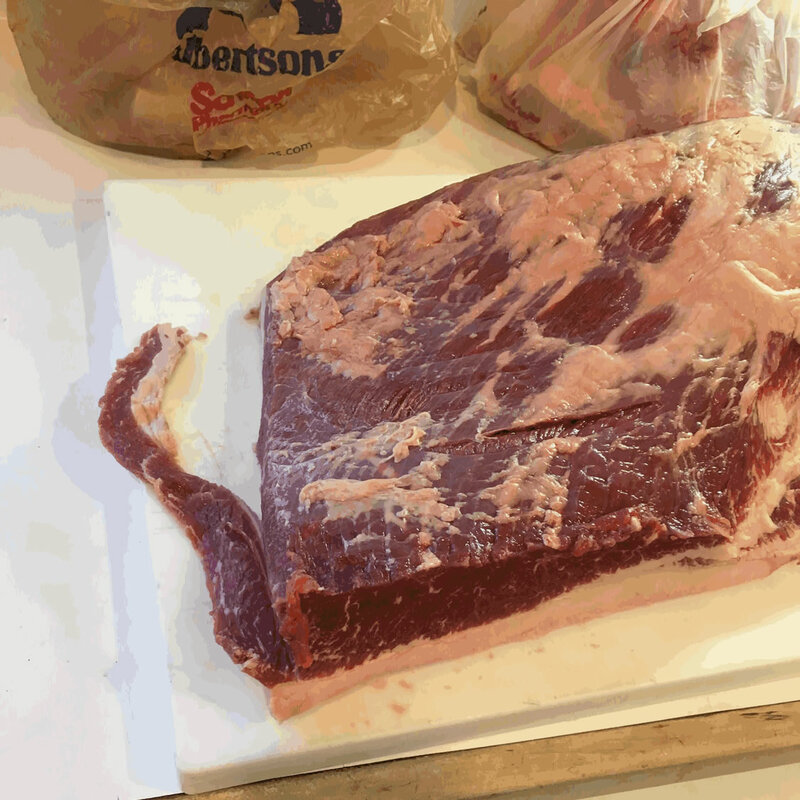 I am sure many of you have heard the horror stories of cooking brisket and that it is the hard meat to cook. Well I am not sure if that is really the case but what I can tell you getting off on the right foot is a part of getting it right. I thought I would share how I approach the brisket trim for BBQ competition. This is a review of a whole packer trim. This is a split cook trim, which I have blogged about and I am conflicted about this technique. As I’ve studied this topic more, I am learning merits for this technique and “Why” it may be the right way to go for competition, but that is another blog. Please note: this is not a “complete” comp trim as the flat is not trimmed to the width I would use for turn in boxes. I was cooking this for some friends and in order to keep as much good meat as possible I left the flat width as wide as possible. It is important you have a well organized station before you start the trim as this is a big piece of meat and can create a mess. Have your cutting board out ahead of time along with your knife(s) ( I typically use a filet or boning knife). Paper towels are handy to absorb any moisture leaching from the meat. Wear gloves (Nitril )during the entire process for sanitary reasons. Replace gloves during the trim as needed. It is also important to be in a well lit space to ensure you can see what you are doing as you get into the detail part of the trim. Lastly, have some plastic bags you can place all the trimmings as you may remove several pounds of scrap from the packer, grocery store plastic bags work well. Once you bag the scrap freeze the meat and wait for trash day to toss the frozen bag out and to keep the flies and the smell away. If you have the resources you may consider saving the scrap for sausage. Not part of my program, but I am sure others do this. Once you are set up, the first step is to remove the brisket and rinse it with cold water. You want to get all that liquid from the cryobag off the meat. Dry the meat with the paper towels prior to moving it to the cutting board. This eliminates much of the moisture from spilling all over your counter top. Start with the fat cap up and continue to dab with the paper towel, flip the meat and do the same on the top (meat) side as you are going to start the trim here. 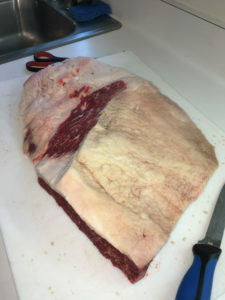 Once you have the moisture handled, look at the entire brisket from all sides to get a feel for what you are dealing with as that will give you an idea of what challenges you may or may not have. The brisket is shaped like a wedge, typically the flat represents 70 percent of the meat surface area looking from the top down. The point typically ramps up to one side and kind of “points” or curls upward at the end. The point is usually covered in hard fat. 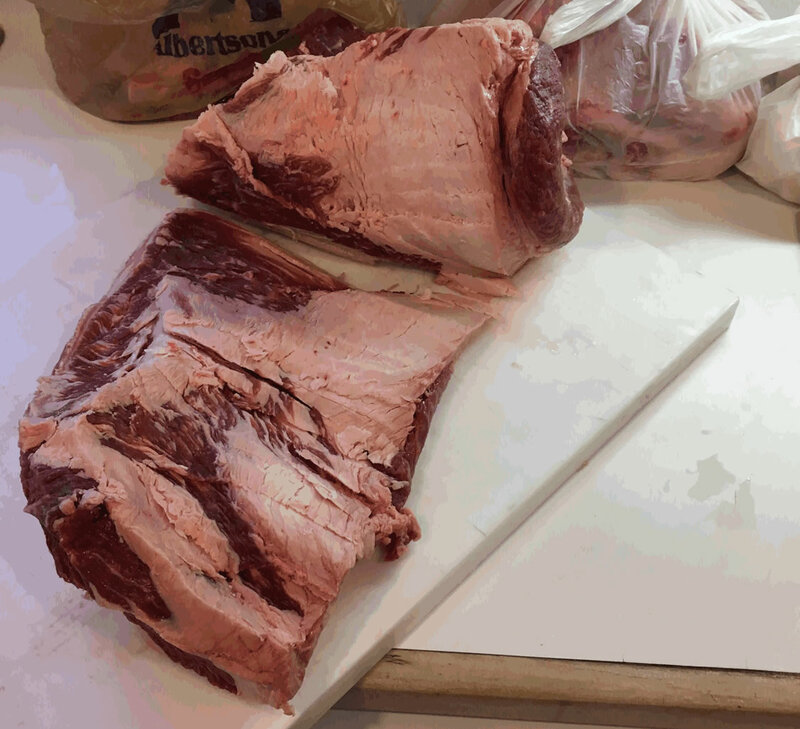 Now that we have the meat and trimming station prepped, first remove the large hard fat cap between the flat and the point (see diagram 2). 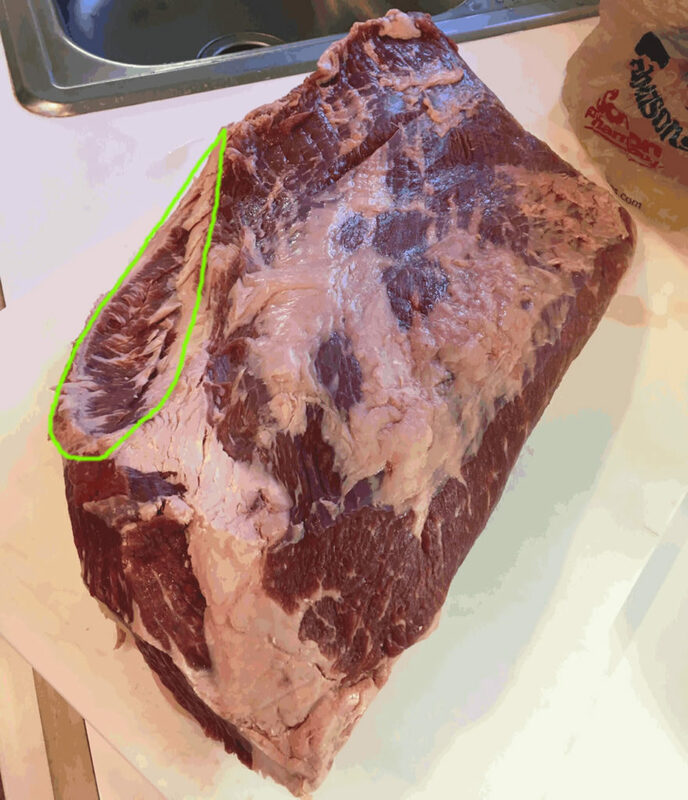 I typically start from the flat side and gently slice in at an angle trying to stay in the fat area of this hard fat section to leave the meat un damaged, continue to do this until all of that bad fat is removed. Continue to trim across the front of the flat (see diagram 4), so the only meat left around the packer is the “good meat”. 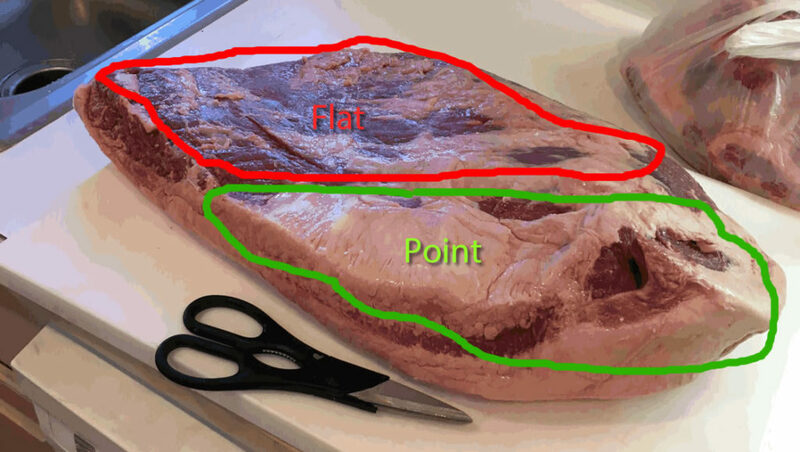 Aside from removing the fat and discolored meat this does also allows you to see the thin fat line that separates the flat and point. 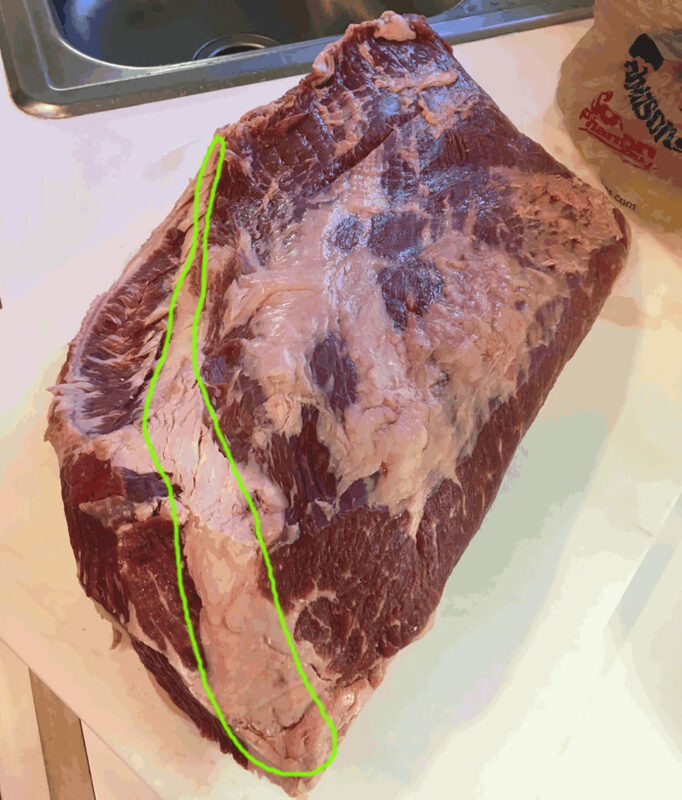 This is important as you will follow this line as you separate these two sections of the brisket. Once you have all the sides trimmed it is time to start separating the flat and the point. This can be daunting the first time, but follow this path and you should be fine. Let me start this by saying take your time and if you see white (fat) while you are separating these two sections you are doing it right. Let the white be your guideline. As you cut into the fat you begin to lift the flat to help see the fat line and your path. My rule of thumb is keep the flat fat intact to protect it during the cook and if I accidentally cut into the point meat it really does not matter too much as I cut the top layer of the point off to make it level. Just do not go too crazy and cut too deep. If you see red you are in the meat, adjust your path and get back in the fat line. Once you have split the two sections set the point aside and trim the flat first as this process takes some time and for me the flat takes a bit more detail work. Shave down all the areas that consists of hard fat as this will not render. In addition, try and remove any fat that looks off color or just feels weird. There is a section of fat that feels like leather, I hate this stuff and always remove it. This fat is a bit more of a challenge as it is usually close to the meat. 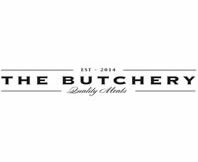 It is imperative to keep your knife almost in a horizontal or blade upward pointing angle so you do not cut into the meat or leave it exposed to the fire without a barrier. If you are concerned you might mess this up, leave the fat as you will trim it off at the end anyway. Pro tip: Use scissors to take the edge off the sides and any sharp corners of the meat. This helps two things, the first is the ends from crumbling when slicing and the second is any hard bark form and puncturing through the foil at the wrap. 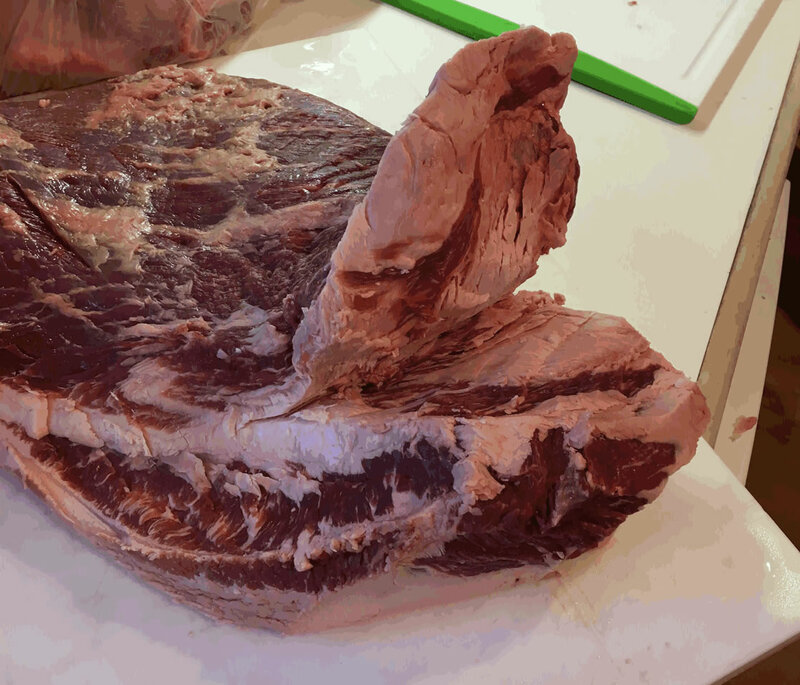 Use the scissors to sculpt the meat, it works great just make sure to get a good pair of scissors. There is a goal with the point for competition turn in and that is to create a nice uniform shelf. 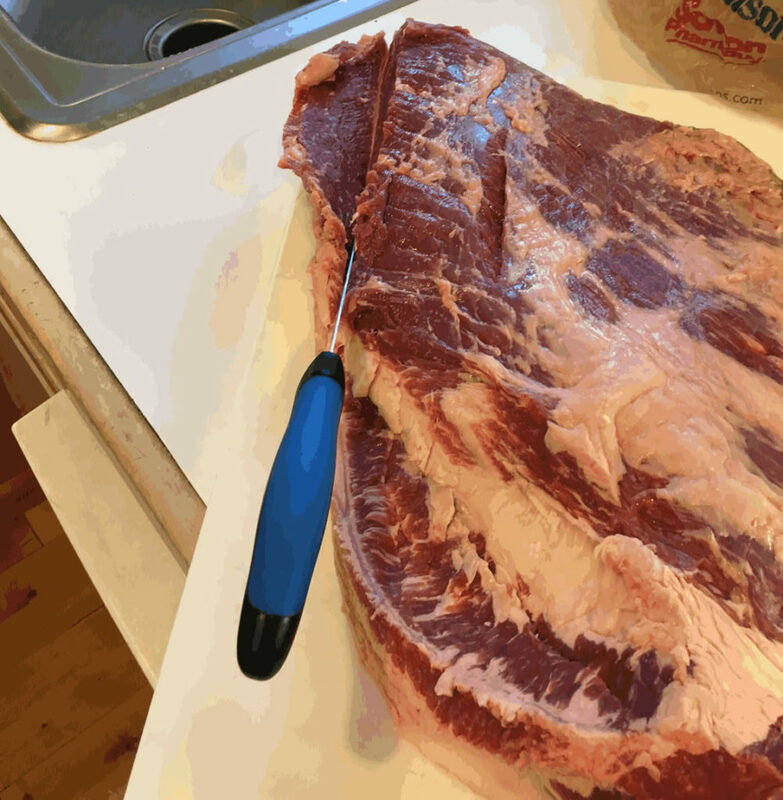 This will give you a nice even surface to slice your burnt ends and a more consistent cook and the meat is even in size. Once this is finished I flip the point and leave a thin layer of fat on the bottom of the point to give it some protection from the heat. I would say closer to ⅛” in fat thickness. After the fat trim is completed the last step is to do the final trim to shape and again like the flat you can use scissors to remove any sharp edges that might hinder air flow or cause a puncture in the foil at the wrap (if you intend to wrap). This concludes the brisket trim 102 blog. Up next injection and rub application, make sure you come back to get more lessons on how we take on this challenging piece of meat.